I’m currently in the middle of some crazy house renovations this fall. I just finished up my kitchen remodel, and as I’m typing this, I have my new flooring being put in. Next up, my powder room remodel. For my powder bathroom, I’m completely gutting it and starting over. The old 15 year old floor tile will be replaced with some new tile as well as a Waynes Coat of pretty tile up to about waist-high to really add some glam to an otherwise drab bathroom. I will also be replacing the vanity and mirror as well, and of course the faucet. I’ve found through my major remodeling this year that some of the smaller details can actually make the biggest difference. For instance, I was amazed how much just changing out the cabinet hardware in my kitchen really added to the new look of my remodel, making my outdated kitchen look so much more modern and appealing. When I remodeled my last house, I put in a lovely Danze touchless stainless steel Kitchen faucet, and it really added a noticeably dramatic look to my kitchen, also making it look much more modern and welcoming. Not only did I love the look of the faucet, but I was completely in love with how it worked too! It had a nice long neck, with detachable sprayer so I could easily spray down some of the huge pans. The faucet was so handy to use handsfree. Just glide your hand in front of the sensor located on the bottom front of the faucet, and voila! Water! I loved this especially after preparing meals and having super dirty fingers. I try to delay cleaning as long as possible and the fact that you can easily keep this faucet clean for a long time, thanks to its handy touch less feature, was absolutely wonderful! Anyway, back to the bathroom remodel for my new house. You can bet I have my eye on Danze’s Bathroom Faucets. Danze has some of the most modern-looking faucets I’ve ever seen! The contemporary styles are completely eye-catching and super chic! They also have tons and tons of different styles to choose from! You may not be doing a complete remodel on your bathroom, but updating a faucet, especially to a more modern faucet like the ones you will find from Danze, can completely update your bathroom all on its own. Go for a tall faucet like the one below to really add a dramatic edge to your bathroom, especially if it is a few years outdated like mine is. This looks amazing with one of those bowl sinks that sit atop the counter. I did this in my last house and whenever people would walk into my bathroom, the sink and faucet were the first thing they noticed! If you want to keep your faucet more on the simple, yet classic side, Danze also has a great selection of smaller faucets that will still give your bathroom a great update without looking too over-the-top. Here are some of my favorite faucets from Danze, but you really need to check out their website and see their amazing selection for yourself! 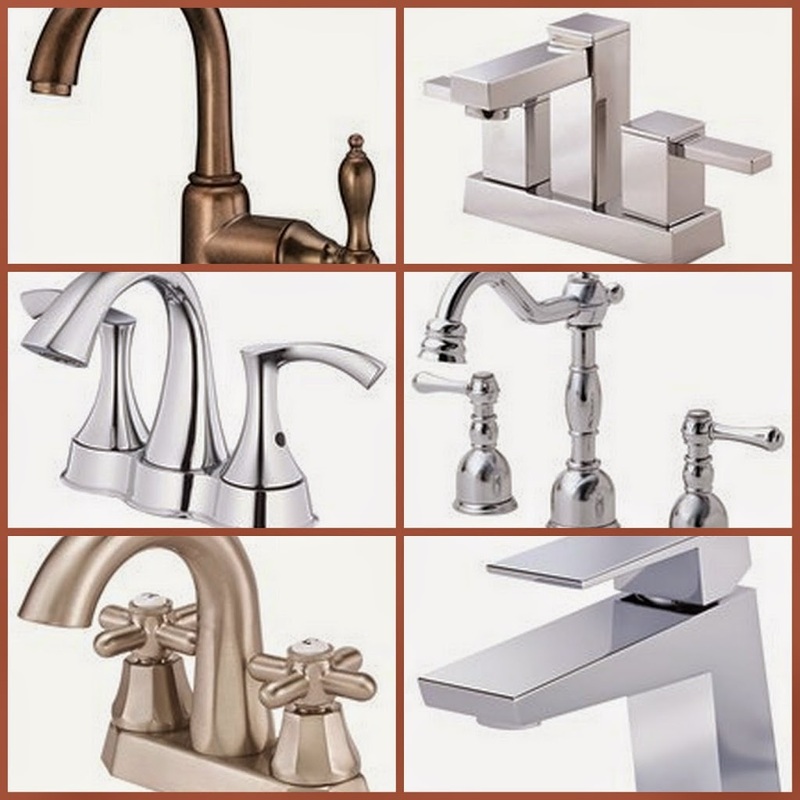 You can find a wide range of faucets in stainless steel, chrome, brushed nickel, polished brass, oil rubbed bronze, and more! I love that the site is easy to shop by your style too. 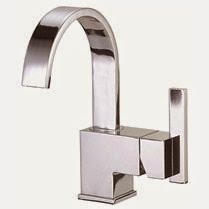 You can find faucets to fit your modern, contemporary style, or your more traditional, classic style. Danze also offers shower heads and shower/bath faucets, as well as toilets, sinks, and even accessories such as towel racks and robe hooks. If you’re looking to add a little spice to an otherwise boring bathroom or kitchen, or maybe you’re in the process of complete remodel like I am, then be sure to check out Danze.com today and find the perfect faucets and more, to simply give your home a new, refreshed, more modern look! *This is a sponsored post by Danze.com. I think faucets are a great way to update your kitchen or bathroom! I personally love funky fixtures that represent my style. I love the faucets! They look clean and modern. If I could redo my bathroom, I would definitely pick this faucet! I like the look of these faucets. They have a clean and modern look which I love. I would get these faucets in my home if I could remodel! These faucets look so cool! I love the different colors and the styles! Really pretty and definitely my style! I think stainless steel is perfect for the kitchen. It’s easier to keep clean and pick up messes! I love the look of these faucets. Stainless steel is the best material to use in the kitchen in my opinion. I am always scared to update the bathroom, because you never know what could go wrong haha.. But after this I will think more positively about it. I hope you could post more recent pictures of the progress. I would love to take a look at them! Anyway, those sample pictures of the faucets are very lovely. They seem perfect if you want to make your kitchen or bathroom look modern and stylish. Anyway, thanks for sharing! HI Martha, Thank you so much for your comment. I actually have my kitchen remodel post coming up really quick! Stay tuned. I will also be sure to post photos of my bathroom remodel once I get started on that too! My mom’s house is outdated. 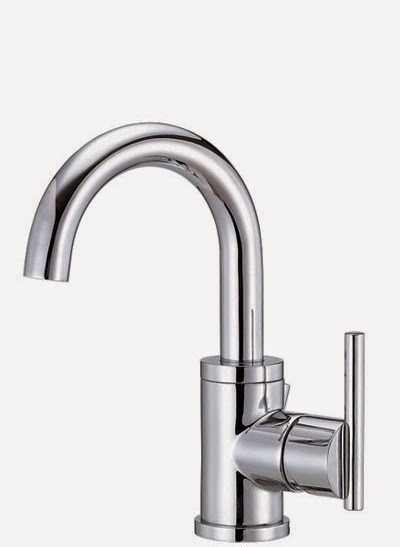 I would love to update her bathrooms faucets as well as her kitchen faucet with Danze. nice design nice pictures too! I love the look of these faucets. They look clean and modern!